Tim’s practice is concentrated on management-side labor and employment law, and related litigation. 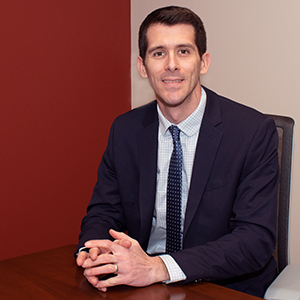 He works extensively in the area of labor relations, advising and representing employers in collective bargaining negotiations, unfair labor practice proceedings and grievance and interest arbitrations. Tim also represents employers in employment litigation matters before state and federal courts and administrative agencies. In addition, Tim counsels employers in all aspects of labor and employment law. Prior to beginning his legal career, Tim worked in the commercial construction industry for several years in both unionized and non-unionized environments. During much of that time, Tim worked as a foreman/general foreman for a large Boston-based labor and demolition subcontractor with a unionized workforce, and he managed numerous commercial construction projects for the company throughout Massachusetts and Rhode Island. Tim’s hands-on labor relations experience provides him with real world skills and unique insight into the issues presented by both unionized and non-unionized workforces.